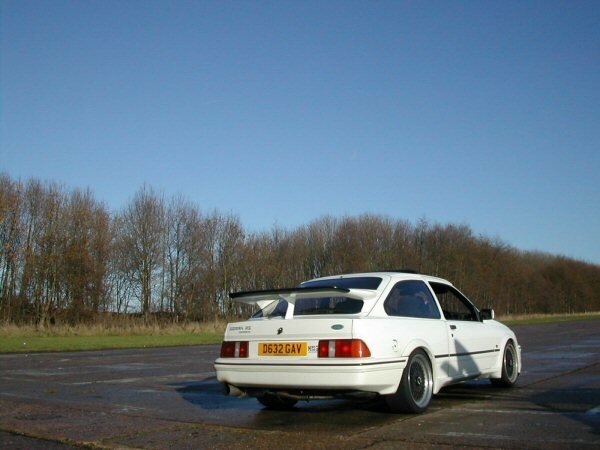 Short stroke 16v Cosworth YB, Low Compression Cosworth Pistons, Billet Steel Crank and longer H section con-rods, Lightweight Steel Flywheel with twin plate 7 1/4 clutch, big winged baffled sump (7L capacity). Mountune Steel Laminate Head Gasket, NMS Cylinder Head with 27.0mm intake/exhaust port, 36.5mm inlet valves and 32mm exhaust valves. NMS custom Cams with alloy Verniers and solid lifters. Double Valve Springs with Titanium retainers. 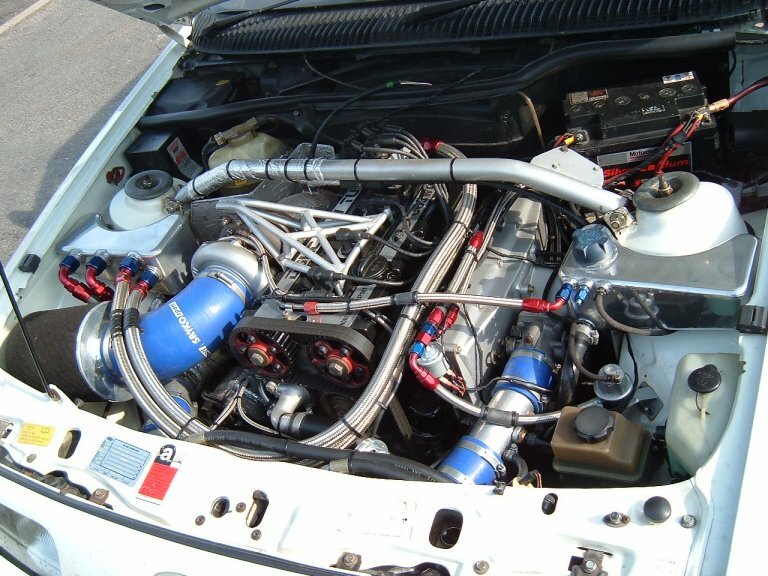 Garret GT40r Turbocharger with 42mm Turbonetics External wastegate, NMS 45mm bore tubular 4/1 stainless exhaust manifold. NMS custom Inlet manifold and plenum with 60mm side entry Throttle Body. Weber marelli mgmt running 1200cc injectors, 2X044 Bosch pumps and aeromotive fuel pressure regulator. NMS Quad Cosworth Intercooler and charge cooler. NMS Custom 3 1/4″ Exhaust System with side exit 2″ wastegate outlet, NMS Boost hoses and induction system. Radtech 80mm core alloy radiator. NMS Breather system. Quaife Big tooth T5 gearbox with close ratio’s, uprated prop, and Zoo Motorsport rose jointed rear beam and 10.5″ Jag diff. Bilstein coil overs, Tarox brakes.